OHIO – Andrea Miller, President of the National Institute for Reproductive Health (NIRH), released the following statement denouncing the passage of legislation in Ohio today that bans abortions after a fetal heartbeat is detected by an ultrasound. The legislation, which would effectively eliminate abortion access in Ohio after six weeks, comes on the heels of bills passed in Georgia, Kentucky, and Mississippi and under consideration in a number of other states. Previous attempts to pass similar legislation were vetoed by the anti-choice former Governor of Ohio John Kasich. 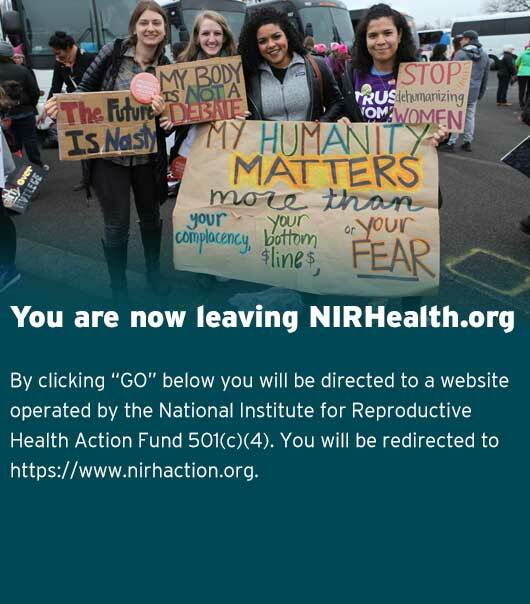 For more than a decade, NIRH has been a leader in the fight to advance reproductive freedom across the country. Recently, they were integral to the successful effort to repeal an outdated criminal abortion ban in Massachusetts, and they led the fight to pass New York’s landmark Reproductive Health Act. Earlier this year, NIRH published a report tracking the passage of more than 100 bills to advance reproductive health, rights, and justice in 27 states and the District of Columbia (D.C.).